Whenever it is decided to construct a dam, the first question that one face is which type of dam will be most suitable and most economical? 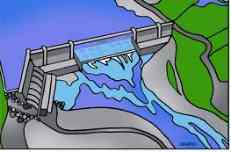 Following are the factors affecting selection of dam site by dam type. Other factors such as cost of construction and maintenance, life of dam, aesthetics etc. These factors are discussed one by one. Topography dictates the first choice of the type of dam. A narrow U-shaped valley, i.e. a narrow stream flowing between high rocky walls, would suggest a concrete overflow dam. A low plain country, would suggest an earth fill dam with separate spillways. Solid rock foundations such as granite have strong bearing power and almost every kind of dam can be built on such foundations. Gravel foundations are suitable for earthen and rock fill dams. Silt and fine sand foundations suggest construction of earth dams or very low gravity dams. Clay foundations are likely to cause enormous settlement of the dam. Constructions of gravity dams or rock fill dams are not suitable on such foundations. Earthen dams after special treatments can be built. 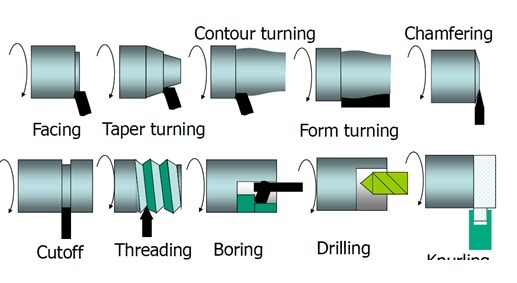 Availability of materials is another important factor in selecting the type of dam. In order to achieve economy in dam construction, the materials required must be available locally or at short distances from the construction site. spillway disposes the surplus river discharge. The capacity of the spillway will depend on the magnitude of the floods to be by-passed. The spillway is therefore much more important on rivers and streams with large flood potential. If dam is situated in an earthquake zone, its design must include earthquake forces. The type of structure best suited to resist earthquake shocks without danger are earthen dams and concrete gravity dams. Earthen dams are usually not provided for heights more than 30 m or so. For greater heights, gravity dams are generally preferred.